Product prices and availability are accurate as of 2019-04-09 20:48:17 EDT and are subject to change. Any price and availability information displayed on http://www.amazon.com/ at the time of purchase will apply to the purchase of this product. ESS3-FG EDGE Series, single stage, medium capacity Flow Gauge. 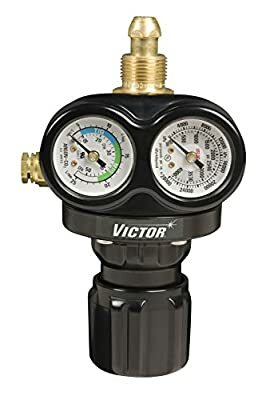 The EDGE Series regulators have easy to read gauges with enhanced graphics, color-coded knobs for quick gas identification, and offer more natural and safer hand/body positioning for adjusting delivery pressure. 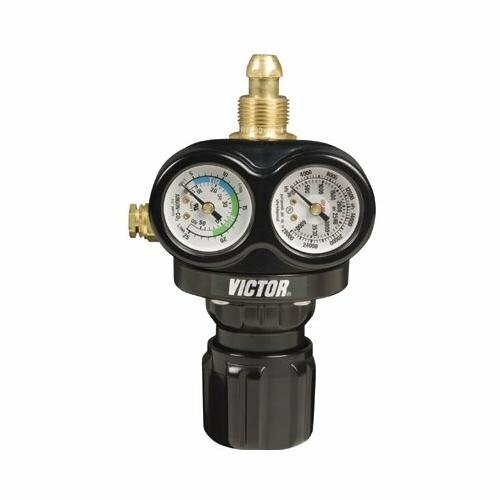 Outperforming traditional designs, Victor Professional EDGE Series regulators offer a more consistent flow performance over a wide range of cylinder pressures.